Lots of books have been written about AC Torino (1949) and Manchester United (1958), the first two teams that crashed with an airplane. AC Torino was already the strongest team in Italy for years, Manchester United promised to be of the same quality in England. Sadly, the list got bigger: between 1961 and 1993 another six professional soccer teams were victims of an air disaster. Here are their stories. Chilean club Green Cross played a cup match against Osorno Seleccion on April 1, 1961. It ended a draw (1-1) and the team flew back to Santiago. The plane never arrived. Eight days later it was found, obliterated by fire. All 24 passengers were killed. Impact of the disaster: Green Cross lost their home-match 0-1 to Osorno and were knocked out of the cup. In the league they finished 12th (out of 14 clubs). One season later they were relegated, but in 1964 Green Cross was back at the highest level in Chile. Best-known deceased: Elisa Mourino, who represented Argentina in 25 international matches. With Argentina he won the Copa America in 1955 and 1959. 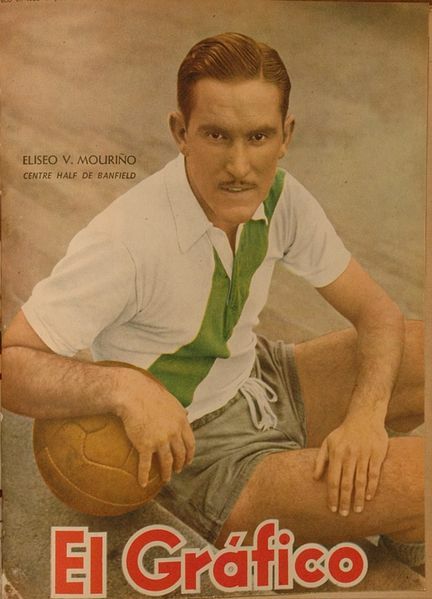 After five seasons at Banfield and eight at Boca Juniors, Mourino was taking it a bit slower at Green Cross. Best known survivor: As the club flew back in two groups, the others got on a another plane and landed safely in Santiago. None of the survivors (in total eight players were killed) was really famous. The 1969 soccer season in Bolivia had a short break in September, and so The Strongest from La Paz were invited to a friendly tournament in Santa Cruz on September 24 and 25. Other participants were Oriente Petrolero, Paraguayan club Cerro Porteno and a selection team from Santa Cruz. During the flight back home it went terribly wrong. The plane crashed somewhere in a nearby mountain area (Viloco). All 78 passenger were killed. Impact of the disaster: Instantly help was on its way. Argentinian club Boca Juniors provided The Strongest with two promising young players on loan, Luis Bastida and Victor Hugo Romero. The South American Football Asociation donated 2,000 dollar and the benefits from the famous Flamengo-Fluminense derby in Rio de Janeiro were sent to The Strongest. Best-known deceaced: Bolivian soccer wasn’t big in those days. So even their best players weren’t very famous. Maybe two Argentinans, Eduardo Arrigo (ex-Huracan) and Hernan Andretta were the best-known victims. Andretta had just stated that this would be his last season as a soccer player. 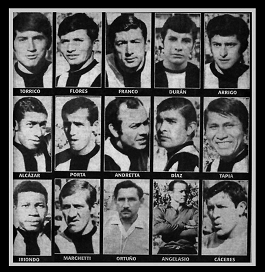 Best-known survivors: Due to various reasons Rolando Vargas, Luis Gini and Marco Antonio Velasco didn’t travel with the team to Santa Cruz and survived. 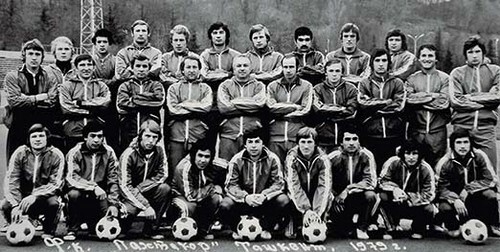 The team of Pakhtakor Tashkent (now in Uzbekistan) was on their way to Minsk for a league match against Dinamo Minsk on August 11, 1979. Pakhtakor had just promoted to the premier level that season. Somewhere in Ukraïne the plane collided with another airplane. Everyone on both planes, 178 people in total, died. Impact of the disaster: All first league clubs in the Soviet Union were told to give three players to Pakhtakor, and on top of this, the club was free from relegationworries for three seasons. Best-known deceased: Twenty-three year old Vladimir Fyodorov, 18 caps for the Soviet Union and twenty-six year old from Korean desent Mikhail An, two caps. 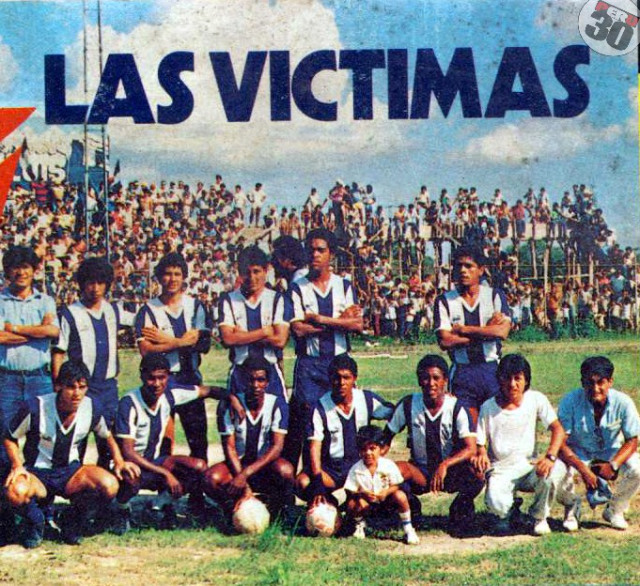 Alianza Lima had just won a league match 1-0 at Deportivo Pucallpa, and was flying back home on December 8th, 1987. Arriving in Lima, the flight panel stated that the landing gear wasn’t released. So the pilot made an extra round, after which the tower gave his okay. In order to get enough height, the pilot made another round to prepare for landing. That failed, and the plane crashed into the sea, nine kilometers out of the coast. Impact of the disaster: Peruvian topclub Alianza Lima finally had a decent squad with lots of promising young soccer players. It took the club until 1997 to win another championship. After the disaster, the league was stopped for four weeks. After that, Alianza Lima had to put in some youth players, while club legend Teofilo Cubillas and some other ex-players came out of retirement. To complete the squad, Chilean club Colo Colo loaned them a few players. 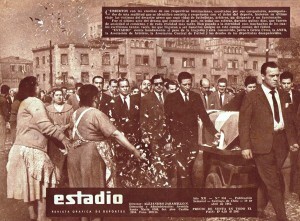 Best-known deceased: Peruvian internationals José Casanova, Luis Antonio Escobar en goalkeeper Jose Gonzalez Ganoza. 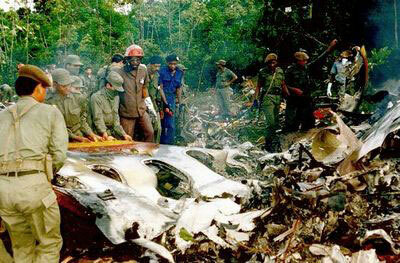 Best-known survivor: Nobody, the pilot was the only one to survive the crash. 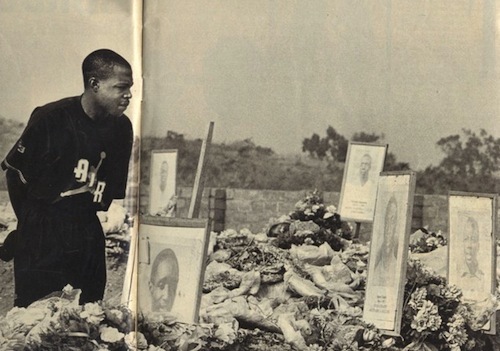 The biggest air disaster in Surinam history took place in the early morning of June 7, 1989 at the Zanderij Airport. Among the 176 victims (eleven survided the crash) were lots of Dutch soccer players from Surinam desent, playing professional soccer in the Netherlands. This team played friendly matches in Surinam, almost every year just after the end of the season in the Netherlands. Impact of the disaster: the team was dissolved, then in 1993 Stanley Menzo started the Suriprofs, a simular team with whom he plays a match every year, most of the time against the champion of the Dutch second division. Lloyd Doesburg (Ajax), Steve van Dorpel (FC Volendam), Ruben Kogeldans (Willem II), Ortwin Linger (Haarlem), Fred Patrick (PEC Zwolle) en Andy Scharmin (FC Twente) stood out. Best-known survivors: Only three players survived: Radjin de Haan, Edu Nandlal en Sigi Lens (uncle of Dutch international Jeremain Lens). But none of them ever played soccer at the highest level again. Other survivers are those Surinam players that didn’t board on that plane for different reasons. Some had to play in the relegation round in the Netherlands (Desmond Gemert of NEC, Winnie Haatrecht of SC Heerenveen). Hennie Meijer (FC Groningen) and Stanley Menzo (Ajax) took an earlier flight. Surinam superstars like Ruud Gullit, Frank Rijkaard and Bryan Roy didn’t got permission from their clubs to travel to Surinam. On their way to an international match against Senegal, Zambia’s national team crashed into the sea on April 27, 1993 near Libreville, Gabon. One of the engines caught fire and left the passengers no chance of survival. Impact of the disaster: despite the loss of almost all their players, Zambia still managed to reach the final of the Africa Cup ten months later, which they lost. On a sad note, they didn’t qualify for the World Cup in the USA. Nineteen year after the disaster, Zambia won the Africa Cup and dedicated their win to this team. Best-known survivors: captain Kalusha Bwalya made his own flight arrangements from Eindhoven (he played at PSV at the time), and Charles Musonda (Anderlecht) was injured.